In March, I spent a month travelling around the middle east and the USA for a documentary commissioned by Channel 4. I did the sound recording and some additional camera work for the film. The film is being broadcast on Sunday 27th at 7pm and on Sunday 3rd August at 7pm. 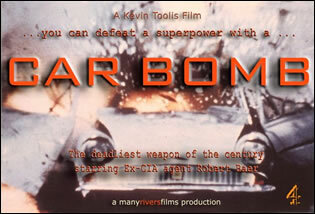 More info about the film can be found on the Car Bomb page on Many Rivers Film’s website.